Are you preparing to move house? You might have already resigned yourself to spending lots of money, but these ideas could help you save more than you realise is possible. It’s never a good idea to try to move house without using the services of a professional moving company. Professional movers know how to carry out the move quickly, smoothly and safely. And if they do make any mistakes and damage is caused to your property, they will pay for it. So, you should hire a moving company, but not just any company. Contact all the moving companies in your area and get quotes from them. The big companies probably charge a lot more, offering less value for money to customers. Buying a home is a huge investment, so you need to be 100% sure that your money is safe, and the house is in good condition. If you don’t get a survey carried out on the house before you buy it, you could end up buying a house with huge faults. All your money could be lost if the value of the house falls dramatically as a result of finding a structural problem or something similar. Paying a qualified professional to carry out an extensive survey of the property could save you a lot of money. Moving house means using lots and lots of cardboard boxes. There’s so much to pack away, and it can become quite daunting. But don’t make the huge mistake of buying brand new cardboard boxes. This would be a complete waste of money because they’re not cheap when you have to buy dozens of them. Instead, you should find second-hand boxes. Ask your friends if they have any and find out if there are any local businesses that have spare boxes. If you ask around, you’ll be sure to find some for free. Buying and selling your home usually means using an estate agent. You need to use a reliable estate agent that you can trust and who has reasonable rates. A lot of people end up throwing away a huge amount of money on estate agent fees, but you shouldn’t make this mistake. Click here to find details of estate agents that are reputable and secure. You should make sure the estate agent you do business with has a strong knowledge of the local area so they can serve you well. 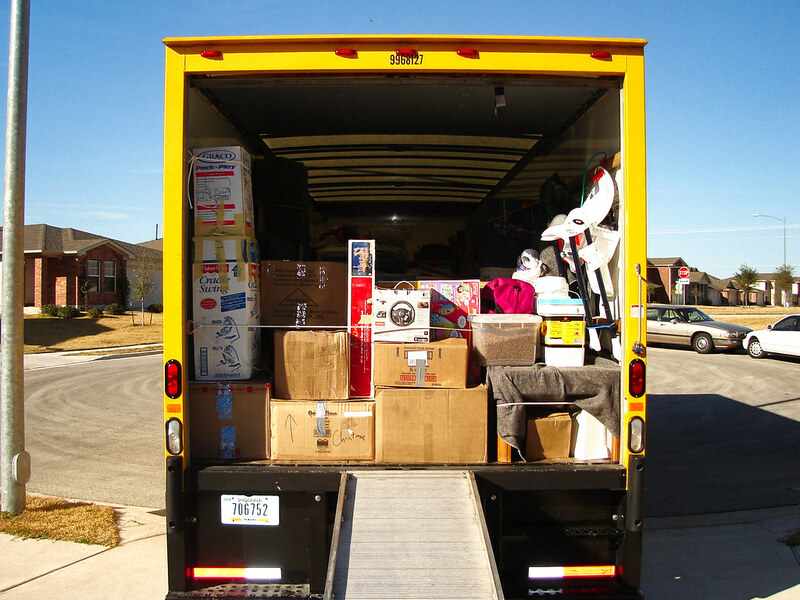 If you try to move everything in one go, your moving bill will be huge, but what’s alternative? Well, I’d recommend grabbing the opportunity to have a clear out. You probably have more stuff than you really want or need anyway, so why not do it? You could even make some money by selling some of your possessions. This will ease the load when you’re trying to move, and it could even help pay the removal costs. That could help make the move a lot less stressful for your family. Moving house can be costly, but these tips will help you save a little extra cash! How Can You Save Money When Moving House?